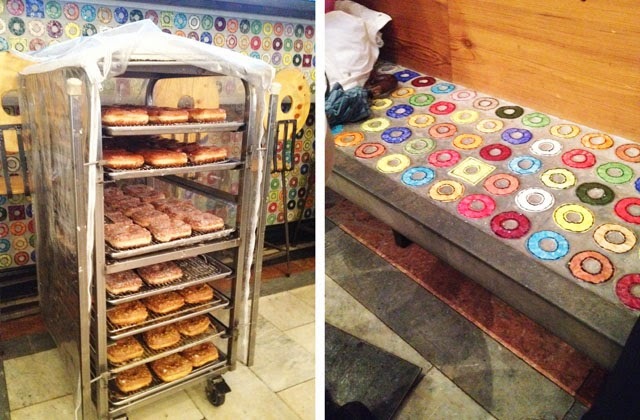 Alright folks, here's the dealio - doughnuts are officially the hot ticket item in New York City at the moment. I wasn't aware of this turn of events until I recently touched down in the city and the first place I was told I needed to go was to Doughnut Plant. Of course my mind immediately turned to Homer Simpson and his obsession with eating doughnuts while on the job at the Nuclear Power plant. Honestly, what is wrong with me? 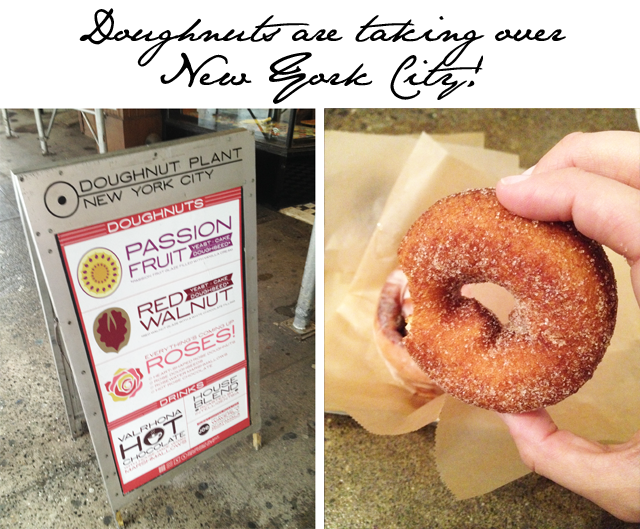 After 48 hours in NYC, we finally made our way to our nearest Doughnut Plant. I was expecting some hole in the wall serving a few flavors of doughnuts in the early morning hours. Turns out, I'm a total idiot and way out of touch with what's been happening in New York City. 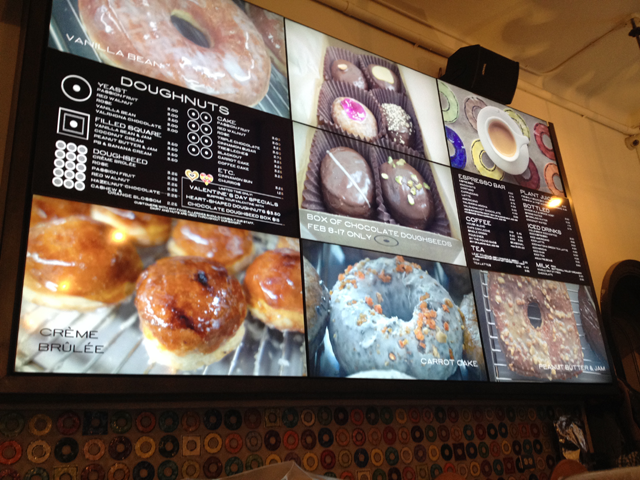 Doughnut Plant has a cult-like following and has done since they first opened their stand alone shop in the year 2000. Yes, I am officially 14 years behind. Somebody slap me with a jelly doughnut. 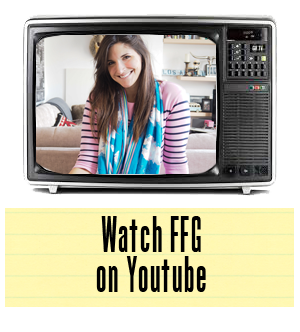 Let's forgive and forget my ignorance and get into the thick of it here. Doughnut Plant could almost be called "Doughnut Planet," as you do seem to be transported into another world as you enter the bakery. 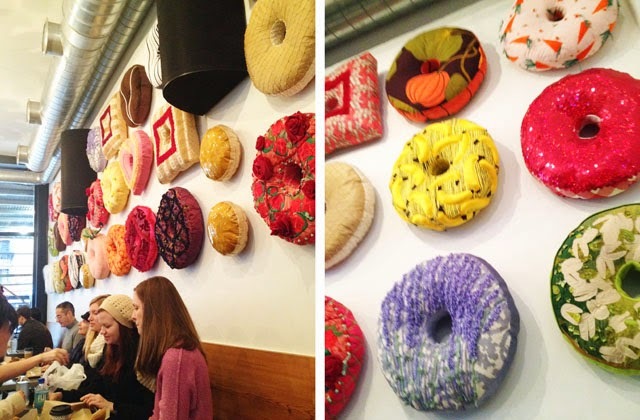 Seats are set with colourful doughnuts, the walls are covered with pillows shaped as doughnuts and the air itself, inside, makes one feel as if they have actually stepped into the centre of a giant doughnut. It's a delicious environment that spells and smells of trouble. I went in light. I ordered one cake doughnut and figured that would be enough. My doughnut companion went straight for the kill with a creme brûlée masterpiece, then encouraged me to go back for more and ordered doughseeds- the mini version. 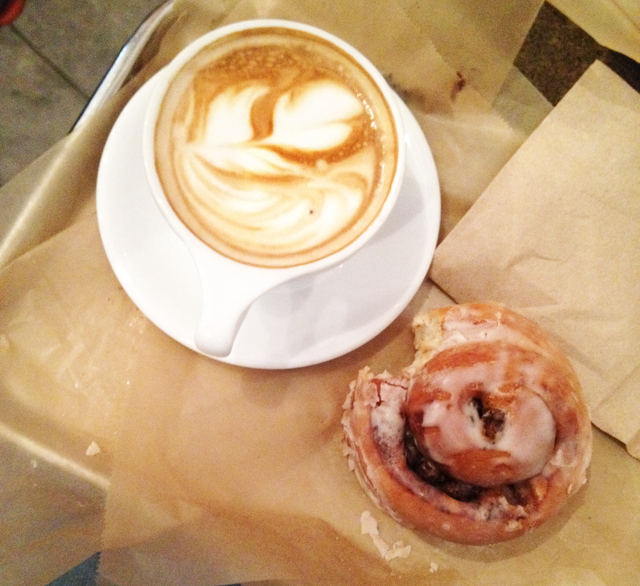 We drank gourmet coffee, ate our doughnuts and then ate some more doughnuts. 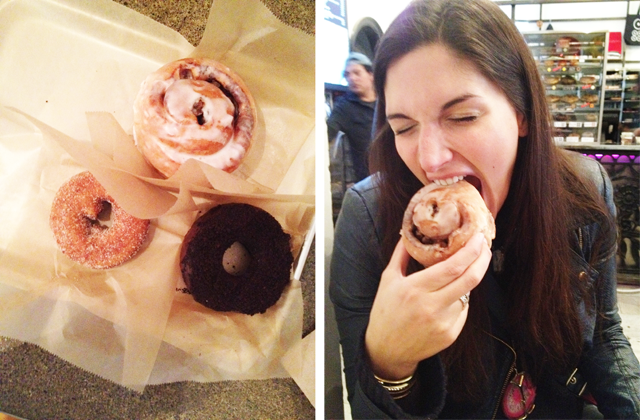 In fact, I'm pretty sure we lost track of just how many doughnuts we ate over the course of one hour's sitting. Let's just say it's worth the visit, but don't expect to jet off to the Hamptons straight after in a bikini. Book a session at Soul Cycle first. Just know it's worth every finger licking calorie.